China and USA annouce energy plans. After bilateral talks this week, the worlds ‘biggest polluters’ made a joint announcement of their plans for future CO2 emissions. President Barrack Obama announced the target of reducing the USA’s greenhouse gas emissions to 26-28 percent below the 2005 level by 2025. President Xi Jinping announced targets to reach peak CO2 by 2030 and increase the share of non-fossil fuel energy to around 20 percent by 2030. 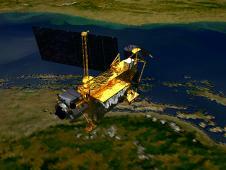 Lumps of a US satellite are due to hit somewhere in Nothern Hemisphere. Chance of someone being hit are estimated as 1/3200. The satellite was launched to measure upper atmosphere climate, like the weather balloons used by UK scientists who discoved the Ozone hole. Don’t worry the satellite won’t hit the US, NASA say. They can’t say were it will land, but they can make sure it isn’t USA. It is expected to make reentry on friday night or saturday morning. The satellite is the biggest “mission to earth” satellite ever launched, or planned to be launched. Most of the six tonne satellite is aluminium and expected to vaporise on re-entry, but about 1 tonne of the satellite is made from steel and titanium alloys which are expected to survive. Anyone who has watched formula one racing and experience a bus journey will appreciate the similarities, as buses repeatedly accelerate and decelerate for bus stops and junctions in the same way as the formula one car is repeatedly changing acceleration to allow it to be steered around corners. A kinetic energy recovery system (KERS) usually stores energy during breaking in a device such as a flywheel, battery or capacitor. Torotrak has recognised this too, and sees a good fit between capability of their kinetic energy recovery system and the service of London buses. I think this presents a good opportunity to remove pollution caused by stresses on engines as they try to move off from a stop. Just look at any place where a bus regularly stops (like rising bollards, junctions) and you will see how the smoke has built up on the road and surrounding street furniture. Suppliers of kinetic energy recovery systems will emphasise the devices can often be retrofitted onto existing vehicles. However I think they could also enable vehicles to achieve the same accelerations or torques with lower powered engines. Heavy vehicles like a bus could be redesigned with smaller engines, not normally able to accelerate from a stop, by storing power in the KERS system while the bus is not moving, rather than only during braking. UK government and nuclear industry email correspondence after the Fukushima accident has been released under freedom of information request. The email demonstrates the train of thinking that the UK is already committed to build new nuclear power stations whatever new evidence comes to light about the dangers. This before all information about the disaster could have been known because the situation developed over many days becoming progressively worse. In David MacKay’s plan C, the balance of wind and nuclear can be varied interchangeable depending on political expediency (consensus). In David’s plan C 37 nuclear power stations like Sizewell B are needed for UK, Sizewell B produces 1188 MW (This is 3% of UK’s current ELECTRICITY needs – 37 will produce 111% of current UK ELECTRICITY). 2000 2MW wind turbines would be needed to replace Sizewell B according to MacKay using 2000 km^2. I would like to say that the nuclear power station only needs 2000 wind turbines to replace it. If we look at complexity of the nuclear power station and the risk of damage it is capable of, the amount of engineering and materials that go into building it, you will see that 2000 is really not a big number. A quick look at at costs seems to show this is reasonable to assume the two sources can be swapped. Cost of Sizewell B was 2.7 G£ in 1991 (2.7 billion pounds or 2700 million pounds). Inflation would make this around 4.5 G£ today. 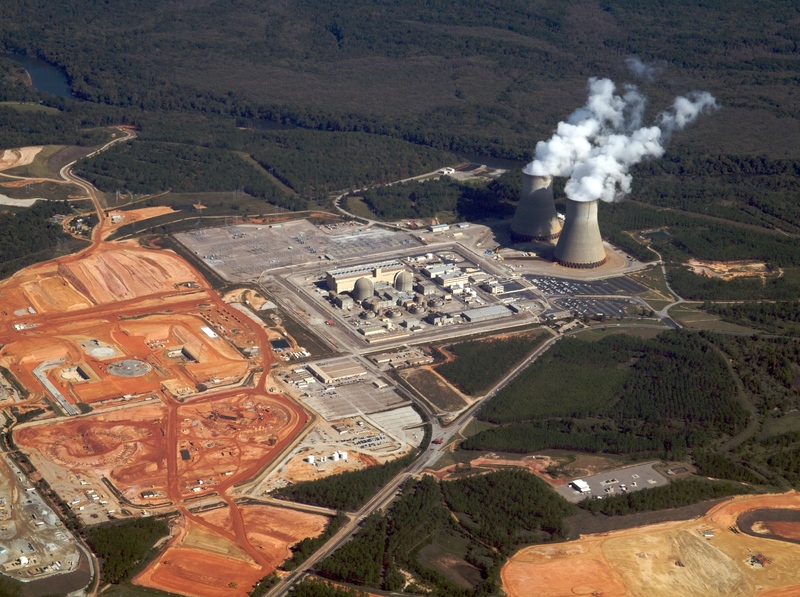 Some disadvantage to nuclear are the fact that build costs seem to be significant before production starts, some plants are delayed, and no production occurs before the whole thing is finished and delivered as safe. There is also problem of decommissioning but lets assume that will be cost discounted into future enough, or paid for by builder of future plant, who will use same site in perpetuity because site can never be used for anything else. If we compare to wind power the costs are fairly similar to nuclear at the moment. These may be reduced by mass production since there are probably more similarity between wind turbines than between nuclear power stations. Costs according to the guardian in 2005 where (1110 build+ 1250 connect = 1350 total) 1350 M£ per GW in 2005. (costs in their article are misleading because there is not enough room to build half on land half offshore, and offshore seems to incur high costs to connect power to the grid). I also doubt this includes storage costs, but I think in the end I expect we can get used to not working when it isn’t windy enough. The guardian columnist used these numbers to show that wind is cheaper. Although they can only really show that the costs are of same magnitude. I think it would be interested also to compare amounts of concrete and steel used to make 2000 wind turbines compared to one nuclear power station. Also same calculation can be done for total energy input to build the two. One thing in favour of nuclear build for UK is small footprint, but this claim is put into doubt if we are going to have any disasters. If we assume a 50 km radius around the plant is rendered unusable by a small leak this takes out 7854 square km of land. About 4000 is the plant is on the coast. 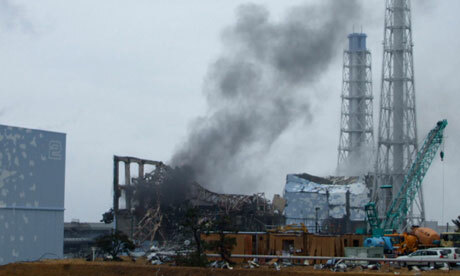 The current disaster as Fukushima is leaking radiation into the sea and polluting fish stocks and seaweed for Japan Korea and China. Radiation spread into the atmosphere will have harder to quantify effect over larger amount of land and sea. A Nuclear power station, if it breaks it really breaks. 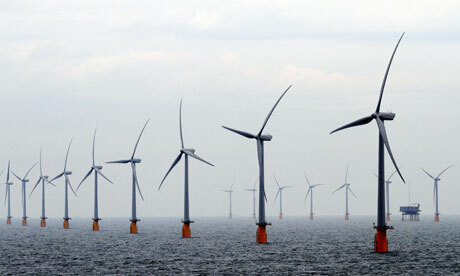 2000 2 MW wind turbines to replace one Sizewell B nuclear reactor takes about 2000 square km offshore. However the use of wind power doesn’t remove the use from other uses, actually it may help UK to have stronger claim on her Territorial waters. If stations are build close enough it is probably hard to use larger trawlers so smaller trawlers from closer ports can probably have some advantage if any fish can survive. Off shore cables can also probably be used to bring power from tidal generators and wave power generators. Tidal generators may help to balance energy supply since tides flow even when the wind doesn’t blow. Since they depend on position of the sun and moon they are predictable, although they are not generous enough to always at the same time each day.